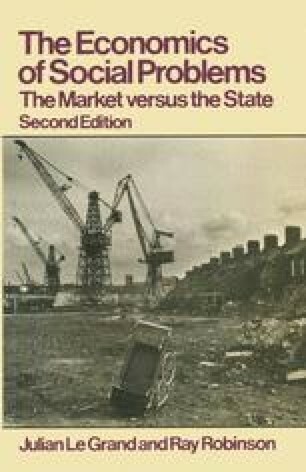 Since Marshall’s time the education system in Britain has expanded beyond recognition and come to depend overwhelmingly upon state provision and finance. In 1980 there were nearly 13 million children or students in a public education system which includes nursery, primary and secondary schools, colleges of further education, polytechnics and universities. As one would expect the costs of this system are substantial: in 1980–81 public expenditure on education was over £12 000 million, this represented approximately 13 per cent of total public expenditure or 7 per cent of national income. Not surprisingly, costs of this magnitude — particularly in a period of general economic recession — have attracted the attention of those people concerned with the methods of provision and finance of education.